Professor Saltzman introduces the basic concepts of renal physiology. Professor Saltzman first introduces the function and anatomy of the kidney. Special attention is given to the cell types and structural aspect of the nephron, the functional unit of the kidney. Filtration, secretion of toxic waste, and reabsorption of water, ions, and nutrients through the glomerulus and various segments of the nephrons is discussed in detail. Finally, Professor Saltzman describes glomerular filtration rate as a function of pressure drop, which is regulated by afferent and efferent arterioles, to control how much volume being filtered through glomerulus. Professor Mark Saltzman: This week we’re going to talk about renal physiology. Renal is kidney physiology, the study of the function of kidneys. We’re going to talk mainly about how they work when they’re working correctly and what functions they perform in the body. You probably know that they’re important, but hopefully by the end of the lecture today, you’ll know exactly why they are so important for your overall state of health. You won’t live very long without near normal kidney function. The reading on this is Chapter 9 and in section we’ll talk about a biomedical engineering innovation that over the last 50 or 60 years or so has really changed the quality and duration of life for patients that have kidney disease, and that’s kidney dialysis or renal dialysis. We’ll talk about that on Thursday afternoon. This is just an outline of the things that we’re going to cover during the lecture today, and on Thursday. We’re going to talk about sort of just gross aspects of the urinary system, the kidney, the bladder, and the tubes that connect these things. I’ll talk a little bit about the differences between plasma; plasma is the fluid that circulates in your body. We thought about circulation of fluids in the body the week before spring break. We talked about the heart and the blood vessels and the blood, and so the main fluid of interest there was plasma, this fluid that blood cells circulate in. The main fluid we’ll be interested in renal physiology is urine. This is a fluid that’s produced by the kidneys, stored in the bladder, and then excreted from the body and it’s one of the primary mechanisms that your body has for getting rid of waste and regulating the composition of fluids like plasma. I’ll talk a little bit more about that in just a second. To understand how it works we’ll talk about the anatomy of the kidney on the gross level and on the microscopic level. It has an amazingly sophisticated organization which is critical for its function. So, if you understand the anatomy of the kidney, you understand a lot about how it works. Then we’ll talk about specific about how urine is created in the kidney process. It turns out that all of these processes are important for maintaining your health. As I mentioned we’ll talk lastly about dialysis which is an extraordinarily effective, but not quite perfect means for keeping people that have kidney failure in good health. I’ve shown you a picture like this, maybe exactly this picture or a picture like this before, but this is sort of a block diagram or an engineering view of the human body. You can see the outside world is the things that surround this red and blue labeled box and the inside of the body is inside. We talked–last time we were here, we talked about the circulatory system and so this mechanism for circulating fluids around in the body. We talked about how that works and why that’s so important. You’ll remember that when we talked about the nervous system which controls a lot of body functions. We talked about, both in the nervous system and in the cardiovascular system, how important certain ions were for the function of those cells. In particular, we talked about sodium and potassium. Sodium and potassium, which are present–in the case of sodium at high concentration outside of cells, low concentration inside, potassium the reverse; high concentration inside, low concentration outside. In order for those cells to function for a nerve cell to send a signal down an axon or for a cardiac muscle cell to contract, those concentrations of ions have to be present and they have to be the way that I’ve described. You have to have high extracellular sodium, low intracellular–high intracellular, potassium low extracellular. If your sodium and potassium levels are not correct you can’t make an action potential in the way that we’ve described before; heart doesn’t beat, brains can’t send signals. All of that physiology we talked about in the nervous system and the heart depends on having ion concentrations in your body at the correct level. How is that maintained? Well, one way you could maintain–you could think about it, if you have a box like this, if this is your body, you could think about maintaining it by just knowing exactly how much sodium and potassium to eat everyday so that you always keep the right amount, and you’re going to lose some, you lose some fluids. So, if you knew exactly how much to eat you could regulate concentration that way. That would be–that’s difficult to do and you know we don’t do that. We eat, in general, excess sodium and excess potassium. Somehow our body is keeping these concentrations at the right level. How does it do that? Well, that’s really the main function of the kidney. The main function of the kidney is to sense how much sodium and potassium there is in your body and then to extract the amount that’s not needed in order to maintain the levels at the constant concentration that’s needed. The main function of the urinary system, which is shown as this part of the diagram over here, is to detect what’s in the plasma, what’s in the blood. Think about it in terms of sodium and potassium concentrations, but there are many, many other elements that are also controlled. It detects what’s there and it removes what’s not needed. That is, it removes what is in excess of what you need to have the proper concentration. Now, you could imagine doing that in two ways. Let’s just think about sodium concentrations for–if your sodium concentration is too high so it needs to come down, then the kidney could either excrete more sodium or excrete less water. You know that the kidney gets rid of waste by getting rid of urine, and urine is mostly water. So, you can control concentration in the body by either changing how much of the molecule you keep or how much water you retain or how much water you lose. All of these things are linked together in some way. The kidneys sit here in intimate contact with the circulatory system, we’ll talk about that. In order to perform this function of regulating concentrations of things in the blood, it needs to see a lot of blood. Blood flow to the kidney is essential and you’ll see that its anatomy puts it in a good position to see a lot of the blood flow. Then it does some transformations, it does some functions we’ll talk about over the course of the next couple of days, it then produces a fluid called urine. You have a reservoir for urine in your body called the bladder. That’s basically just a storage vessel for urine that’s produced by the kidneys, and then you excrete that. What’s in the excreted fluid urine? Mainly water, salts, and organic wastes. Now, what organic wastes are eliminated by the kidneys? Well, think about metabolism; you’re breaking down sugars, you’re breaking down proteins, you’re using those raw materials to build other molecules but there are waste products of that process of breaking down and building back up molecules. A waste product of sugar metabolism is carbon dioxide, where it is the final form of carbon in the body is carbon dioxide. You get rid of that not in the kidney largely, but mainly in the lung by breathing out CO2. The main product of nitrogen metabolism–and where does nitrogen come from? It comes from proteins that we eat. In the Western world, in developed worlds, we eat a lot more protein than we need for building new proteins. We have protein rich diets, and so you have a lot of waste products from proteins that accumulate. In particular, the waste product of nitrogen, and all amino acids have nitrogen. The end product of metabolism of amino acids or proteins is a molecule called urea. Urea is an example of an abundant organic waste that’s eliminated by the kidneys. It’s not volatile, it’s not a gas like carbon dioxide, so you can’t breathe it out. It has to be eliminated in water and it’s concentrated in the urine. If concentrations of urea get to high in your plasma, it becomes toxic. One of the main functions of the kidney is to get rid of end-products of nitrogen metabolism like urea, to keep the levels low enough that they don’t cause any toxicity. That’s a couple of–as you can see very important functions for the kidney. Getting rid of waste product of natural metabolism that would otherwise be toxic to the body, that’s urea, and regulating the concentrations of ions like sodium and potassium. We could add calcium, and phosphate, and magnesium, but regulating the concentrations primarily of sodium and potassium so that the other organs in your body can function in the right way. We call that function maintaining the internal environment, maintaining the internal milieu, maintaining the internal fluid composition at some constant level so that the other organs can function properly. Let’s think about the anatomy a little bit, and it’s shown on this slide. The words on the top of the slide just tell you what I already told you. You know probably that your kidneys–you have two of them and–one of the left and one on the right and they set sort of right below your ribcage in the back. They’re in the back part of your abdominal cavity, a space that’s called the retro peritoneal position in your body. If you remember from the circulatory system, the heart is right here, the heart is in the center, slightly to the left side of the chest. Coming out of the heart, the cardiac output comes out through the aorta, and the aorta is initially directed upwards and then it curves and goes down through the abdomen here. If I trace the path of the aorta, it starts in the thorax between the lungs, moves down here, crosses through the diaphragm and into the abdominal space, so this is the abdominal aorta. You can see that the kidneys are positioned on either side of the abdominal aorta. Now, the flow through the abdominal aorta is quite high. This is one of the main vessels and there are some branch points before it gets there so there is some blood that goes up to the head and the upper parts of the body, but the major portion of the cardiac output flows down your abdominal aorta. There are two main branches off the abdominal aorta right here called the renal arteries. The renal arteries feed blood to the kidneys directly. The kidney is in a great anatomical position to receive a lot of the blood flow, and it does. This might vary minute to minute depending on your state of health and your level of activity but it receives on average about 25% of the cardiac output. Cardiac output was–remember what the cardiac output number was? A good number to keep in your head, 5 L/min, and so it’s receiving over 1 L/min of blood; each of the kidneys are, so that’s a lot. If blood goes in, blood has to come back out. It comes back out through two renal veins, one from each kidney which carries the blood back to the vena cava and then back up to the heart. The kidney is in a privileged position with respect to the circulatory system so that it can receive a lot of the flow. The blood vessels aren’t shown on this diagram because I wanted to make it clear in this diagram what are the–all the components of the urinary system but you can see the renal artery. This is the blow up of the kidney over here, a cross-section so you can see inside. The kidney is, not surprisingly, kidney-shaped and so it kind of wraps around this central core. In the central core here’s the renal artery which is bringing blood in, the one labeled ‘4’ here, the renal vein which is taking blood out is labeled number 5. Inside, that renal artery splits into many smaller arteries which spread this blood flow throughout the bulk of the kidney. The renal vein carries blood back out and back to the vena cava, as I mentioned. Now, there’s one other vessel which emerges from this section of the kidney and this is called the ureter, labeled number 6 here. This the vessel through which urine flows. That urine flows out of the kidney and then down, down–you can see this ureter, one from each kidney, flowing down into this sac called the bladder. Then, the bladder has another vessel which connects to the outside world called the urethra. Urine is produced continuously by the kidneys, urine is continuously flowing, although the rate might change with time. It’s continually flowing into the bladder, the bladder is an expandable reservoir. It expands, collects urine until you’re ready to release it. Then it’s released through the urethra to the external environment; so you have a picture of the anatomy. There are a couple of functions I didn’t talk about and we won’t talk about really in our time on this subject. The kidney also has a very important function in regulating blood pressure and we won’t talk about that. It also secretes some hormones that aid in red blood cell production. There’s some other functions aside from the ones we talked about, but I’m going to talk about the main ones I’ve emphasized already. You have a picture for the anatomy of the kidneys and where they sit. You will remember that for each kidney, now, we’ll just assume that they’re each identical for the rest of our discussion today. For each kidney there’s blood coming in, there’s blood going out, and there’s urine coming out. One way, and we’ve talked about this a little bit before, but if you’re an engineer just trying to analyze this system, our question was how does the kidney do what it does? One way to try to understand what it does is to treat it very simply. Let’s just say it’s a black box, I don’t really know anything about what goes on inside. What I know about is that there are flows going in and out: there’s the renal artery that flows in, there’s the renal vein that flows out, and there’s the ureter which carries urine away. Let’s just look at what goes in and what comes out and see what we could learn about the function of the organ or what it must do just by looking at those inputs and outputs. This is a common mode of engineering analysis. If we looked more carefully at what’s flowing into the kidney there’s blood and flows through. I mentioned a lot of blood goes through the kidney at an astonishing rate, that each of your two kidneys receives 1,700 liters of blood per day which flows continuously from the aorta into the renal arteries. Of that, the blood is composed of blood cells and plasma, so if we just looked at the plasma about half of that volume slightly more than half of that volume is plasma. What’s in plasma? Mainly water, proteins like albumin and antibodies, and salts like sodium and potassium bicarbonate, and waste products like urea. If we measured what the concentration was the average concentration of each of those things in the renal arteries, we could calculate how much flows in everyday. Plasma, 950 liters per day, that’s almost 1,000 liters of water per day flows through your kidneys; 133 mmoles of sodium per day. Less potassium per day because there’s less potassium–concentration of sodium is high, potassium is low in the extracellular fluid; a lot of bicarbonate, the main pH buffer in the blood, and quite a lot of urea, 500 grams of urea. Remember this is a waste product so your body needs to get rid of this, so that’s what’s flowing in to each kidney. What comes out we could think about analyzing by looking at what comes out in the urine. If we collected the urine and measured the concentrations, what comes out is about 1.5 liters per day of water, of fluid volume. What comes out in terms of sodium? About 103 mmoles per day, so of the 133,000 mmoles of sodium that go through the kidneys each day your kidney gets rid of about 100 mmoles. So, it’s looking at a lot of sodium, figuring out how much you need, and then excreting the little bit of excess that you have because of excess that comes in in your diet generally. We eat more salt than we need to keep alive. With potassium, 50 mmoles per day, so it’s still a small fraction of what comes through, bicarbonate, small fraction of what comes through, and urea–now there’s a lot, 52 compared to 475, so a sizeable fraction of the urea gets eliminated every day. Now, these numbers that are percentages over here, what I did was I just took the total amount that you eliminate, the total amount that’s eliminated, so 1.5 liters per day and figured out what percentage that was of the total water that the kidney sees everyday; so 1.5 liters per day is .16% of 950 liters per day. Your kidney excretes .1%–.16% of the water that flows through it, a pretty small fraction, a similar small fraction of sodium, more of potassium, much less of bicarbonate, and 11% of the urea that goes through. How could the kidney do this? How did the kidney do this? You probably know something, how does the kidney work? How does it separate the molecules that it wants to excrete from all of the molecules that are passing through here? What must this look like inside in order to accomplish this task? You can learn a lot about it just by looking at these numbers. How does it work? Professor Mark Saltzman: Osmosis or–what’s osmosis? Professor Mark Saltzman: It’s–osmosis is separation across a membrane, where you have a semi-permeable membrane and that’s a good idea. There is osmosis that goes on and we’re going to talk about it. Osmosis is a really critical way that the kidney functions at the microscopic level and we’ll talk about that. There’s another sort of more cruder level of function that I’m thinking about, or a simpler level of function. How do–what was your vision of how the kidney worked when you came in here? What does your kidney do? 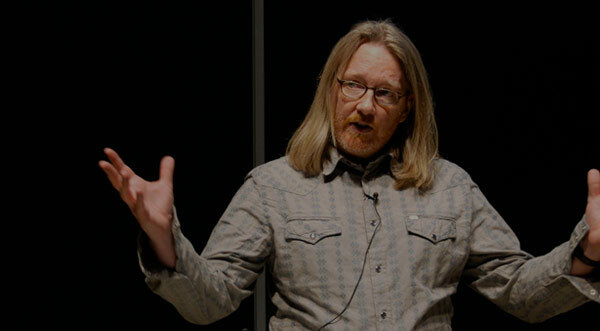 Professor Mark Saltzman: Filters? It’s a filter. How do filters work? How does a filter work? Professor Mark Saltzman: A filter works because it has some property that if you put a liquid on top of it, some of the components of the liquid will pass through and some of them won’t. Generally when you think about filters what physical principle does it use to keep things on one side or to decide what passes through? What property of molecules? Size, generally filters work based on size, they’re mechanical and they have holes in them and those holes are of a certain size and so only molecules that are smaller than that size can pass through. Now, that would make sense for the kidney because what’s in the blood that you don’t want to pass through? You don’t want blood cells to pass through and those are large, those are 5 or 10 microns in diameter. You don’t want those to pass through so let’s have a filter that keeps blood cells on one side and only allows things that are smaller than blood cells to go through. You also have proteins in your blood and those are generally large molecules. You have albumin, you have antibodies, you have lots of lipoproteins, you have insulin, you have lots of proteins that are in the blood and those have important functions inside your body. They’re hard to make, you don’t want to lose them, and in general, the filter is such that proteins don’t go through. Small molecules can go through, glucose can go through, and it’s a much smaller molecule. Do you want glucose to go through? In fact, I haven’t even listed it here, would you want glucose to go through? Probably not because you worked hard to gather your food and eat it, and you want to extract the energy from glucose, you don’t want to lose a lot of it so you’d like to keep that in. It’s a small molecule; in fact, it’s not so much bigger than urea or sodium, or potassium, or bicarbonate. These are all fairly small molecules. They all pass very easily through the filter. If your kidney was just a filter what would you expect to see in the urine? In particular, what would these percentages be if the kidney acts as a filter? If I tell you that all of these molecules are smaller–are small enough to pass freely through the kidney filter? Professor Mark Saltzman: Well they’d all be the same, right? They’d all be the same percentage. If the kidney was just a filter and everything passed through that was smaller than a certain amount, then what you should see in the urine is just the same–exact same percentage in the urine as is in the plasma. If your kidney was just a filter and it just allowed urea, and bicarbonate, and potassium, and sodium, and water to pass through then you should have the same fraction of water, etc. These percentages wouldn’t be different; they’d be whatever they needed to be. Now, what’s the most important thing here? Getting rid of the toxic compound, got to get rid of the toxic compound otherwise you get sick. If the kidney was just a filter and I needed to get rid of 11% of the urea, then I would have to also lose 11% of the water. In a simple filter, if I want to get rid of 11% of the urea, and the urea is dissolved in water, they both pass through the filter then I’d have to get rid of 11% of the water. Let’s say 11% is about 100 times this, 100 x .16% so that would mean this number has to be 100 liters per day. What’s the problem with having a urine output of 100 liters per day? That’s a lot. Could you sit through a class that’s 50 minutes long? Probably not; is there a 1 liter bottle? How big is–that’s probably bigger than a liter right? Professor Mark Saltzman: Just about a liter; so you would pee 100 of those per day, so your bladder is–can be a pretty good size but it’s not big enough to hold 100 liters, your body is not that big. A problem, if your kidney was a simple filter, is that you would have to be losing water, excreting water all the time. The flip side of that is for you not to shrink you’ve got to be consuming that amount of water. If the kidney was a simple filter and you needed to get rid of urea, and assuming that these numbers are appropriate numbers for–then you would have to pee out over 100 liters per day and you have to drink 100 liters of water per day in order to maintain your volume. What happens if you lose too much volume? Then your ion concentrations go out of whack as well because they’re not dissolved in the right volume of water. Your kidney must have some other mechanism besides being a filter. In particular, it has to recover things that you need. Filtration is an important part of it, but it also has to be selective in some way, and filtration is not selective enough. Filtration is not selective enough because there are lots of molecules that are about the same size, some that are toxic, and some that are essential for health, and you can’t separate them just based on size. Just another example of that if we looked–another way to look at how the kidney works is to look at relative concentrations in the plasma and the urine. Ordinarily, the kidney is very, very good at keeping glucose out of the urine. Even though it’s a small molecule, it gets filtered along with urea, the kidney saves it somehow so that it’s abnormal to have any urine in your–any glucose in your urine even though you have high concentrations in the plasma. You get rid of quite a lot of sodium, a tremendous amount of urea as we mentioned, and creatine is another waste product that turns out to be important for reasons we won’t really talk about very much. How does it work if it’s not just a simple filter? Well, filtration is an important part of it, so filtration occurs in the kidney, it’s the initial separation that happens where molecules that your kidney is processing gets separated from the blood plasma. Filtration is the important first step and I’ll talk about that in a few moments. This filtration does not directly produce urine. You know what the problem with that is, it’s you’d have to produce too much urine if that was the only thing that happened. Instead, the kidney reabsorbs, so after the filtration step it takes the fluid that’s produced by filtration and it looks at that fluid and it decides what things the body can use, water, glucose, sodium, potassium, and it reabsorbs them back into the blood. Filtration is the first function, re-absorption is the second function. If you’re filtering 100 liters per day and you’re only creating 1 liter of urine that means that there’s a lot of re-absorption going on. Most of the water that gets filtered through the kidney gets reabsorbed, only that small fraction, .1% gets excreted in urine. We’re going to call the filtrate, or the fluid that gets produced by filtration, that’s fluid that wants to be urine. It wants to be urine someday but it’s–that’s what it aspires too, it aspires to be urine but it’s not quite urine yet. The important role of the kidney is to make that–is to extract back out the fluids that are in this sort of want-to-be urine the things that it can use to produce a very concentrated waste stream. The kidney also directly secretes some compounds, so there’s some compounds that aren’t filtered very effectively or as effectively as we need them to be. The kidney has mechanisms for taking molecules directly from the blood and pumping them into the urine. That’s a little–that’s a specialized function that’s a little bit beyond where we need to go. I wanted to show it to you for–where we have time to go I wanted to show it to you for completion. If you go on to study physiology you’ll learn a lot about this. There’s filtration, re-absorption, this accounts for the majority of what happens in terms of processing to form urine, but there’s also secretion, and then finally the urine that goes to the bladder and is eliminated. Just coming back to this picture again, the renal arteries, about 180 liters of that fluid that comes in per day is filtered. This is about 900 and some liters of plasma that goes into the kidneys. Of that, 180 liters are filtered, meaning that whatever the filter portion of the kidney is 180 of those liters, or a fairly substantial fraction, passes through the filter. You only lose about 1.5 liters per day of urine and that means that the kidney is reabsorbing 178.5 liters per day. That’s an astounding amount of work, both to filter this quantity of fluid and then recover that fluid back, takes a lot of energy and we’ll see that there’s a lot of action that’s going on inside the cells of the kidney to allow this to happen. You should be very grateful because if your kidney did not do this work for you then there are a lot of activities that you would have trouble participating in if you had to be constantly worried about peeing and drinking, you couldn’t wait to do it because you’ve got to do it all the time in order to maintain this balance life would be very different. This is the problem when the kidneys begin to fail. If you’re not filtering, secreting, and reabsorbing this much water which the kidneys do through very active energy consuming processes, then what happens? Concentration of urea goes up, concentration of sodium and potassium gets out of whack, and your health very quickly deteriorates. You cannot live a healthy life very long without all of these things happening continuously. How does the kidney accomplish these functions? It accomplishes it through a marvelously elegant machine called the nephron, and the nephron is the functional unit of the kidney. I’m going to show you in a diagram in a moment, this is sort of the picture, a cartoon of the kidney if you turned it on its side, it’s sitting up this way and its kidney bean shaped. I turned it on its side, so this part at the capsule is pointing up and it’s up here, and the inner part or the medulla, the part where all the vessels come in is pointing down. Oriented within each kidney are a million, over a million of these functional units called nephrons. Nephrons are just a series of tubes that are arranged in a very specific configuration. We’ll see in the next slide that nephrons look slightly different, there are nephrons–of these million there are different populations that look slightly different but they all have the same basic anatomy. I’ll just trace through the anatomy here starting at this little tuft at the top of the nephron or near the top of the nephron, so near the capsule is a structure called the glomerulus. The glomerulus is where the blood-carrying tubes and the urine-carrying tubes meet. The glomerulus is where these two sets of tubules meet. The glomerulus is the structure in which filtration takes place. What you see here is a ball which is basically a sac. You imagine a sac that is enclosing sort of a tuft or a tumbleweed of blood vessels. There’s blood that’s coming into this tuft of capillaries and there’s blood that’s going out. You can’t really see it here but there’s blood that’s coming in, there’s blood that’s going out. Each of these tufts is really a branch of the renal artery. I showed you the picture, the renal artery comes in, it branches, it branches, it branches, it branches a million times and there–one of those million branches goes to each glomerulus and it forms a tuft of capillaries there. This capillary is surrounded by a sac, the capillary comes in, and it’s surrounded by a sac. Filtration occurs across these capillary walls. How does filtration occur? Filtration occurs by a pressure drop, so the same physical force that’s moving blood through your circulatory system. We talked about blood pressure generated by your heart, and within this tuft of capillaries this blood is pressurized. It’s pressurized because it’s not that far from your heart. There’s not that much resistance between where pressure is formed in your heart and this tuft. In the sac outside is a low pressure. Now, this is a different kind of a pressure drop because we’ve been thinking about a pressure drop along a tube, high pressure here, low pressure here, and so fluid flows through the tube. Instead, now we have high pressure inside of a tuft of capillaries and low pressure outside, so the pressure drop is not along the tube it’s across the wall of the tube. If there’s a pressure drop across the wall of the tube and the wall is leaky then water can move across, so it moves from inside the tube to outside, high pressure inside the tube, low pressure outside. This is where the filtration function of the kidney takes place, in the capillaries of the glomerulus. The capillaries of the glomerulus are leaky, there are holes in them, and so if there’s high pressure on the inside, low pressure on the outside, fluid can flow through and anything that’s small enough to fit through these holes can pass through with the fluid. That 100 liters per day that’s filtered occurs in these one million glomeruli of the one million nephron in each kidney. The space that’s in this sac here is where the first differences between urine and plasma are created. The fluid that accumulates in this sac outside the glomerulus by filtration is different from plasma. It’s different from plasma in what way? Well, it only has molecules that are small enough to pass through the filter and so it only has molecules that are below a certain size. Plasma has blood cells, it has red blood cells, has white blood cells, has proteins, glucose, ions, but the urine only has things that are smaller than a certain size. Imagine a cut off in molecular weight and everything that’s below that is present; everything that’s above is not present. How does the concentration of sodium in the glomerulus compare to the concentration of sodium in this space–in this want-to-be urine space? Well, the concentration is the same at this point because what you have here is just a filtrate. If the molecule is very small like water, or like sodium, then all the molecules are going to pass through; there won’t be any difference in concentration on either side of the filter. What does this fluid look like at this point of the tube of the beginning of the urine flow pathway? It looks like what’s called an ultra-filtrate of plasma. It looks like plasma but with just the big molecules, the big stuff removed. The concentration of everything else would be the same. Does that make sense? After filtration, this fluid passes through this winding set of tubes, these winding set of tubules; these are called the kidney tubules. This is not blood that’s flowing through here now, but this is the fluid that wants to be urine. It flows through–these tubules in the kidney are divided into segments. The first segment is called the proximal convoluted tubule. It’s called convoluted because it twists around, it’s proximal because proximal means near, and this part of the tube is near the glomerulus. Proximal convoluted tubule, the fluid flows through; it flows down this loop and this loop extends from the top near the cortex of the kidney down toward the medulla and then up again. There’s a loop and this loop is called the Loop of Henle, after an anatomist who described it first, so it’s called the Loop of Henle. Then there’s another region here which is another twisting, winding tubule, another convoluted tubule but it’s far from the glomerulus, so this is called the distal convoluted tubule. Finally that distal convoluted tubule flows into a straight duct that goes down through the medulla called the collecting duct. This collecting duct dumps directly into the ureter which carries urine to the bladder. There’s a lot of action here. The–an ultra-filtrate of plasma is formed in this space, this space by the way is called Bowman’s space, after another anatomist who first discovered it, the space where the filtration occurs into is called Bowman’s space. The urine flows through the distal convoluted tubule, through the Loop of Henle–I’m sorry, through the proximal convoluted tubule, down the Loop of Henle, back up the Loop of Henle, through the distal prox–distal convoluted tubule into the collecting duct and then out to the ureter and the bladder. Now, what’s happening? Why this complicated series of tubes arranged in this way? Actually, if we looked at the microscopic anatomy in each of these tubes, that’s what’s shown here, is what do the cells look like that form these tubes at different regions of the nephron? One thing that you could notice, and that anatomists noticed when they started studying the kidney, is that these tubes all look–these tubes are all composed of cells that look slightly different. The reason that they look slightly different is because they’re performing different functions. The details of the functions that they’re performing are beyond the scope of what we’re going to talk about, or you’ll be responsible for, I’ll mention a few of them. One way to think about is that different parts of the tubule have different functions in terms of re-absorption of molecules from the urine. The main task of the nephron, after this filtration step, is to recover the things that the body still needs, to recover sodium, to recover glucose, to recover potassium, and to recover most importantly water so that you don’t have to be drinking constantly in order to remain healthy. Different parts of the tubule are responsible for different elements of that re-absorption process. It turns out it’s not quite so simple as that. You couldn’t say glucose is here, sodium’s here, potassium’s here, it’s not quite that separated but they function in sort of a coordination in order to accomplish this overall process with each part of the tubule performing slightly different functions to do that. Here’s the picture that I promised earlier, where I just wanted to show you what I’ve been showing you, the kidney turned on its side. Here you’d be laying down on your side I guess and the abdominal aorta’s coming down here, blood flowing up to this kidney, here’s the capsule, here’s the medulla, and here’s all the nephrons arranged in this up and down pattern along the breadth of the kidney. This just shows that there are glomeruli, these small tufts everywhere throughout this upper region of the kidney, that there are–that all of these glomeruli are branches of a branch of the renal artery, and that nephrons, you can see in the cartoon I showed you before, here’s one nephron shown, here’s the glomerulus, and here’s the proximal convoluted tubule. You can see in this more elaborate drawing just how convoluted it is. There are many, many–these are quite long tubules, so there’s a long pathway for fluid to flow through. That’s in order to give the kidney cells time to perform this function on all of the fluid that’s flowing through the kidney. This is kind of a complicated picture and I’ll let you look at it at your leisure. These are posted on the Classes Server. What I want to show you mainly is this figure down here. This is a picture of the filter in the kidney. Where does the filter reside in the kidney? It’s at the–it’s the capillaries; it’s the walls of these capillaries that form these tufts in the glomerulus. This picture is a scanning electron micrograph that was taken by–by taking one of these capillaries, cutting it open, and then spreading it out so you could look down on the surface. Here we’re like looking from the–actually from the outside of the tube in and what you see is holes. These are physical holes that are of a size that allows small molecules to pass through but keep blood cells and large molecules on the other side. The kidney really is a filter in an important sense and it functions just like a coffee filter or any of the synthetic filters you might use, which are just mainly made of materials that have many small holes in them and that’s what this tubule looks like. Professor Mark Saltzman: Capillaries have a sizeable resistance but not the most and it is important because it’s the place where–remember size is regulated so that you can adjust flow rates most sensitively here; in the arterioles or the small arteries. It turns out that the glomerular capillaries or the capillaries of these tufts sit in the unique position between two sets of arterioles. Arteriole that leads into the glomerulus and an arteriole that leads out of the glomerulus. Because of that if you have this tuft of capillaries that’s sitting on either side of an arteriole–now what did arterioles do? They were of the right size, the right physical dimension so that they created a fairly substantial resistance to flow, that’s one thing. They’re the right size to create a fairly substantial resistance to flow and they can expand and contract, and so they can adjust their resistance. What happens when they adjust their resistance? They change the overall pressure drop for that segment, and by changing the pressure drop you can change how much flow occurs. Well, the glomerular capillaries sit here between two arterioles and they can independently regulate their size. What that allows the individual nephron to do is to adjust what’s the pressure inside its glomerular capillaries. If I want the pressure to be lower, then I squeeze in on this one, the one that’s leading in, I get more of a pressure drop across that arteriole so the pressure’s lower coming out. If I want the higher pressure drop on the glomerular capillaries I expand this so that I don’t have as much resistance, I don’t have as much of a pressure drop, I have higher pressure in the glomerular capillaries. Now, why would that make a difference? Because remember these glomerular capillaries sit inside this capsule where there’s a low pressure. If I have high pressure here, low pressure here, I get filtration. If pressure goes up inside here but stays the same out here I get more filtration; if pressure goes down I get less. Every individual nephron has a mechanism for regulating how much fluid it filters at any particular time, and it does that by regulating the arteries on either side of the glomerular tuft. I’m going to stop there and then we’ll continue next time talking a little bit more detail about how the kidneys do this task of recovering molecules that you need. Questions? Good, see you on Thursday.